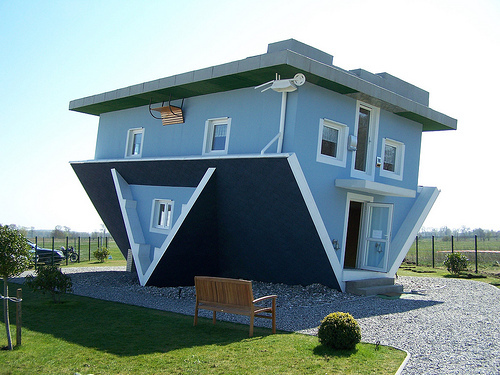 When it comes to making money in the business of flipping houses and other real estate investments you will find all kinds of do’s and don’ts along the way. The truth of the matter is that these are extremely useful whether this is your first house flip or you have been flipping houses for years. In fact you might just find that you can learn something new on occasion by reading lists such as this even if you’ve been flipping houses for years and have many successful flips under your belt. 1) Don’t forget to check out the neighborhood before you buy. You will want to make sure that the property you are considering is a good fit for the neighborhood. You should also take the time to make sure that the plan you have in mind for the property will match well with the other neighborhood residents in order to guarantee a quicker sale. 2) Don’t blow your budget without just cause. Your budget is what you used to determine whether or not the house would be a profitable venture. If you blow your budget and cannot recover the extra money you’ve spent in the selling price on the house you will have seriously cut into your profits if not eliminated them all together. The goal in property flipping is to get in and out quickly and spend as little money as possible in order to make as much money as possible. 3) Don’t forget to set daily goals and hold yourself accountable to those goals. If you don’t reach your goals for the day it can set the entire project back by as much as a month depending on the goals and what has to be rearranged as a result. Stick to your timeline and your daily schedule in order to avoid potentially costly delays in time and money. 4) Don’t neglect the exterior. Curb appeal is what brings buyers into the property. If you spend all your money, time, and effort making improvements to the exterior of the home you will have little left to make the outside appealing to potential buyers. A home buyer is in the market for the entire package. A home that looks run down on the outside leaves the impression of being neglected on the inside and many potential buyers will never walk inside if the outside looks forlorn. 5) Don’t spend money you don’t need to spend. While it would be great to put in granite counter tops and gourmet kitchens into every home it isn’t always practical and this is often money that will not be recovered, particularly in homes that are in marginal neighborhoods. If you want to get the most for your money avoid costly expenses that aren’t exactly necessary for the successful completion of the flip. Resurface bathroom fixtures rather than replacing them if possible and use new cabinet doors or hardware rather than adding new cabinets all together to cut down on expenses. In other words, salvage what you can, fix what needs to be fixed, and add a few cosmetic touches before moving on. The market for real estate is a very fickle market. Avoid risking too much time and money on a property that isn’t going to recover those added touches and expenses. Instead hold onto those ideas for higher end flips once you have a few successful flips under your belt.